Self Cure Remedy details of Apply papaya for the care and relief of Bee Sting, including effectiveness and popularity scores of the remedy. Papaya contains an enzyme called papain, which neutralizes bee venom. 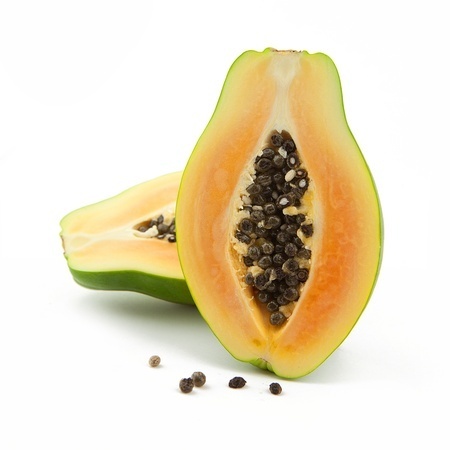 Raw, green papaya has the highest concentration of this enzyme. Cut and mash a piece of ripe papaya and apply the paste on the affected area directly. The self cure remedy of Apply papaya for the care and relief of Bee Sting has an effectiveness score of 3.3 and a popularity score of 10 on the self-cure system.